This week was a huge one for fans of the seminal punk band The Misfits. Various outlets announced the historic news that three of the original members were reuniting in September of this year for a series of concerts at Riot Fest in Denver and Chicago. For those that aren’t familiar with the history of the band, former lead singer Glenn Danzig hasn’t performed with both Jerry Only and Doyle Von Frankenstein since 1983. 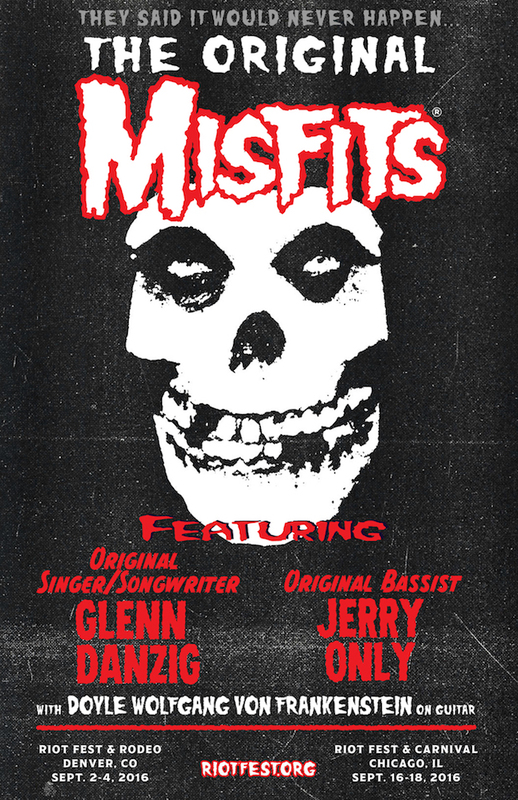 This news brings with it cautious optimism in the hearts of Misfits fans everywhere that a larger tour might even be possible in the year to come. It is with this news in mind that we unveil a brief interview we did with Doyle not that long ago at SLO Brew in San Luis Obispo. To say that Doyle is an imposing figure is a major understatement. From his tall stature, to ripped abs, bulbous pecs (and I forgot to mention his signature “devilock” ‘do and face paint), I felt a little bit uneasy sitting next to him in a locked tour bus. Many thoughts went through my head: What would happen if I asked him a question that he didn’t like? If a fan’s head is ripped off in a tour bus and there’s no one to hear it, does it make a sound? All fearful and philosophical musings aside, I was genuinely eager to hear this talented musician shed light on the long and influential history of the Misfits, as well as his various solo endeavors through the years. I also got to ask him about his strong commitment to living a healthy lifestyle including becoming vegan recently. I even had the opportunity to ask about whether we might see him covering a version of the Smiths’ “Meat Is Murder” (not to spoil his response but here’s a hint: don’t hold your breath). For those that watch the full video interview, you’ll be rewarded with some awesome footage that gives you a taste of how proficient and dynamic Doyle and his band really are on stage. Highly recommended. Thanks to Doyle, Katy and the good people at Numbskull Productions and SLO Brew for making this special night happen.